His Highness addressing the Evangelical Academy of Tutzing upon receiving the Tolerance Award, 20 May 2006. "We honour an exceptional man, we honour a huge friend of mankind, we honour a courageous visionary, and we honour a person building bridges between societies," said His Excellency Dr Frank-Walter Steinmeier, Germany's Minister for Foreign Affairs, during his laudatory remarks. 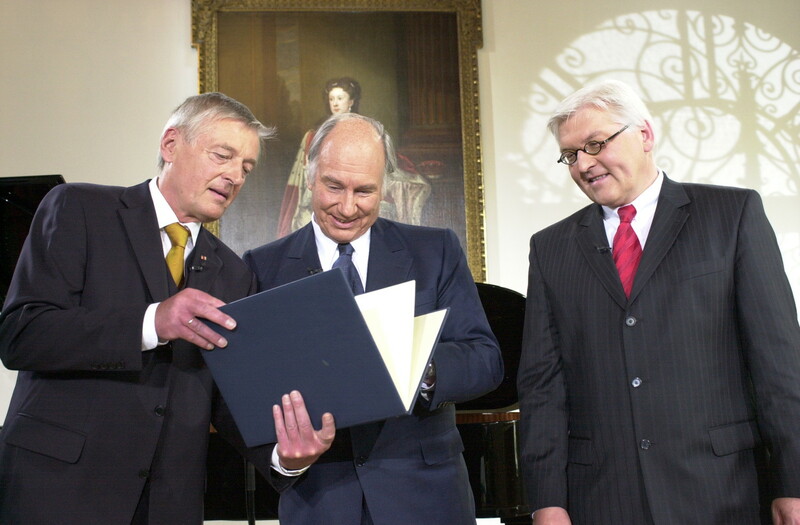 Dr. Friedemann Greiner, Director and Chairman of the Jury (left), presenting the Tolerance Award 2006 to His Highness the Aga Khan as Dr Frank-Walter Steinmeier, Germany's Minister of Foreign Affairs (right), looks on. His Highness the Aga Khan, Dr Greiner, Director of the Evangelical Academy of Tutzing, and Dr Frank-Walter Steinmeier, German Minister for Foreign Affairs, in discussion as they walk in the grounds of the Academy following the ceremony. 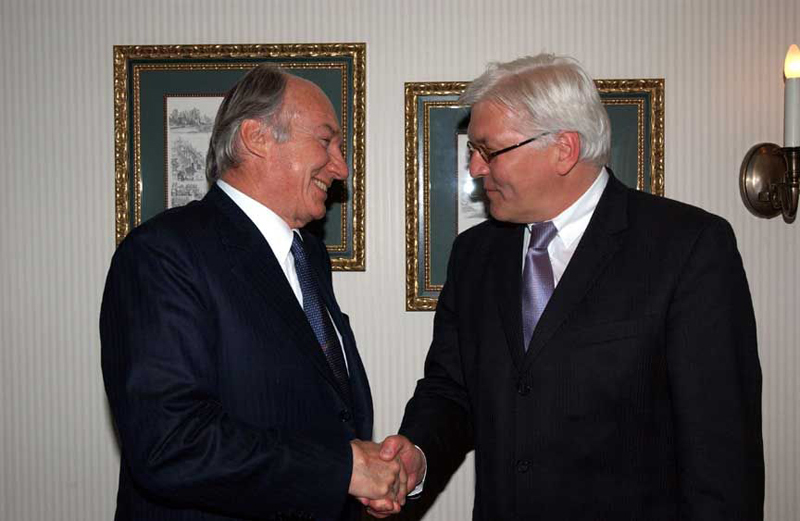 His Highness the Aga Khan meets with Germany's Minister of Foreign Affairs, Dr. Frank-Walter Steinmeier, in Berlin, on the 19th of May 2006. The Foreign Minister also spoke at the award presentation. 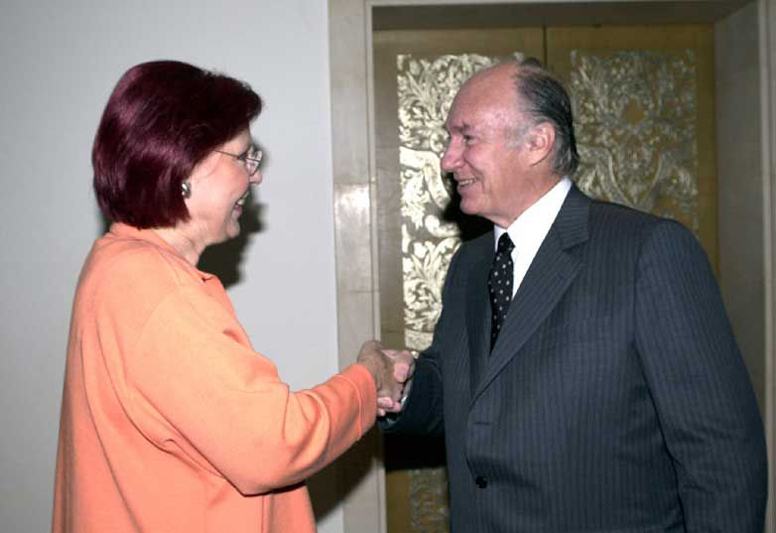 His Highness the Aga Khan meets with Germany's Minister of Economic Cooperation and Development, Heidemarie Wieczorek-Zeul, in Berlin, to discuss strategies for development, on the 19th of May 2006. 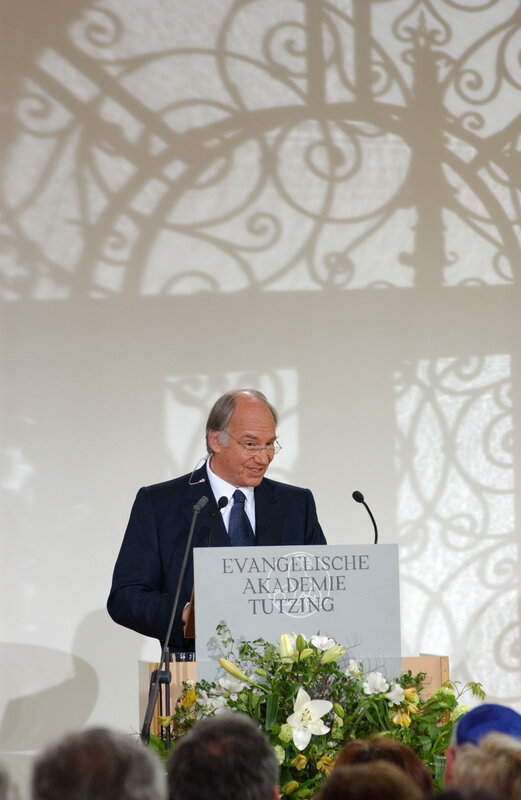 Tutzing, Germany, 20 May 2006 - Speaking at the Evangelische Akademie Tutzing (Evangelical Academy of Tutzing) in Germany, where he received the Tolerance Award, the Aga Khan noted that "societies which have grown more pluralistic in makeup are not always growing more pluralistic in spirit," and called for a new "cosmopolitan ethic" rooted in a strong culture of tolerance.